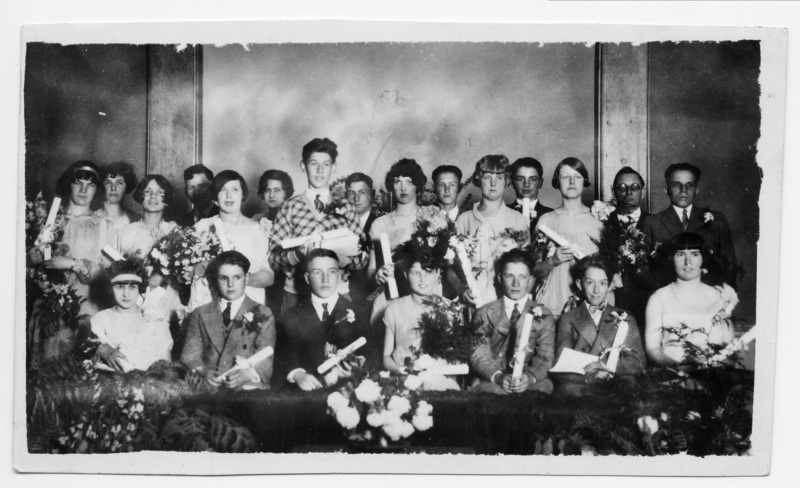 8th grade graduation; Held at Congregational Church; 1927? Description Scanned as B & W. See also 353a for additional information. Transcription 8th grade graduation; Held at Congregational Church; 1927? Physical Description H 3 1/4" x L 5 1/2"